New Delhi is starting massive series of new projects to divert water from major rivers in the north and the east of the country to India's drought-stricken western and southern regions. This news has sounded alarm bells in the Bangladeshi capital of Dhaka, according to the UK's Guardian newspaper. The $400 billion project involves rerouting water from major rivers including the Ganga and Brahmaputra and creating canals to link the Ken and Batwa rivers in central India and Damanganga-Pinjal in the west. Its target is to help drought-hit India farmers who are killing themselves at a rate on one every 30 minutes for at least two decades. The Indo-Gangetic Plain, also known as Indus-Ganga and the North Indian River Plain, is a 255 million hectare (630 million acre) fertile plain encompassing most of northern and eastern India, the eastern parts of Pakistan, and virtually all of Bangladesh, according to a Wikipedia entry. India and Pakistan have a formal internationally-brokered and monitored treaty called Indus Waters Treaty (IWT) signed in 1960 between Indian Prime minister Jawaharlal Nehru and Pakistan President Ayub Khan in Karachi. 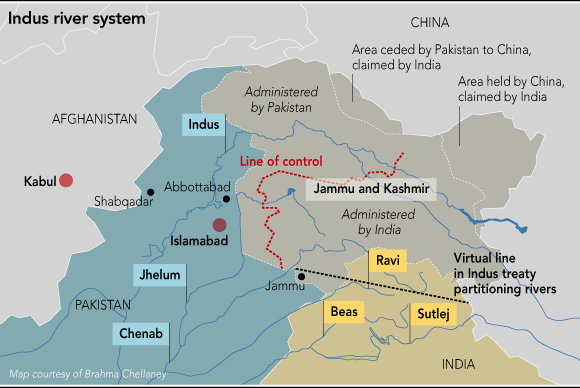 The IWT allocated water from three eastern rivers of Ravi, Beas and Sutlej for exclusive use by India before they enter Pakistan, while the water from three western rivers of Jhelum, Chenab and Indus was allocated for exclusive use of Pakistan. The treaty essentially partitioned the rivers rather than sharing of their waters. The treaty also permits India to build run-of-the-river hydroelectric projects on the western rivers but it can not divert any water from them for its own use. In the east, River Ganga upon reaching the Indian state of West Bengal splits into two main branches, the Hooghly which continues its course south into West Bengal and the Padma that flows into Bangladesh. Similarly, the Brahmaputra upon reaching Bangladesh splits into two main distributaries, the Jamuna and the Meghna. Both enter Bangladesh at different points. At least 100 million Bangladeshis living downstream in Jamuna (Brahmaputra) and Padma (Ganga) river basins will be hit hard if India carries out the project as planned. Alarmed by this development, Bangladesh’s minister of water, Nazrul Islam, has pleaded with the Indian government to take Bangladesh’s water needs into consideration, noting that 54 of 56 Indian rivers flowed through his country. Bangladesh is already suffering from India's increasing withdrawal of Ganges water in recent years. India has built at least 26 water diversion projects upstream the Ganges which has led to crop failure and even desertification of certain areas in the lower riparian Bangladesh, according to Dhaka Tribune. Unlike the internationally-brokered and monitored Indus Water Treaty (IWT) between Pakistan and India, there is no similar water-sharing treaty between Bangladesh and India. The 1996 Farakka treaty has done little to help Bangladesh. It is dependent entirely on the good-will of the rulers in Delhi for its water life-line. Will Modi respond positively to the pleas of his strong ally in Bangladesh's Shaikh Hasina to take its eastern neighbor's water needs into consideration? Will Modi assure Bangladesh by signing a binding water-sharing treaty along the lines of the Indus Waters Treaty? Unfortunately, the history suggests otherwise. The possibility of India revisiting the Indus Waters Treaty signed with Pakistan in 1960 has also aroused some strategists, and even MEA spokesperson Vikas Swarup, who said pointedly that “any cooperative arrangement requires goodwill and mutual trust on both sides”. But the treaty under which the waters of the Indus and its five tributaries are distributed between the two countries is not purely a bilateral affair; it was brokered by the World Bank, whose involvement will be automatically triggered if India unilaterally abrogates it. Nor can it be done like turning off a tap; various measures would be required to ensure that Indian cities do not get flooded with the water that is no longer flowing to Pakistan. And then, we would set a precedent and we would be loath to see China follow on the Brahmaputra, where it is we who are downstream. We have long been a model state in our respect for international law, and our adherence to morality in foreign policy, even offering humanitarian assistance to Pakistan after earthquakes and floods. Starving people by cutting off their water would be profoundly unworthy of us. This is why the treaty has, as Omar Abdullah recently pointed out, survived four wars and a unanimous resolution of the Jammu and Kashmir Assembly calling for its scrapping. 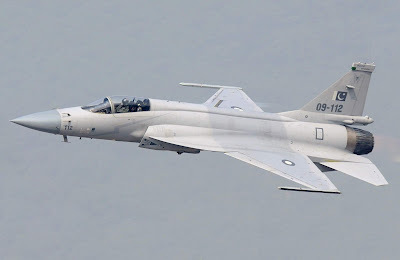 Under the existing Treaty provisions, however, India is entitled to make use of the waters of the western rivers for irrigation, storage, and even for producing electricity, in a “non-consumptive” manner, through “run-of-the-river” projects that do not reduce the ultimate flow to Pakistan. Oddly enough, we have never taken advantage of these provisions, which are exactly what the Chinese say they are doing with their frenetic dam building on the upper reaches of the Brahmaputra, upstream from India. If we were simply to do what we are allowed to under the Treaty — we are entitled to store up to 3.6 million acre feet on the western rivers — it would be a more effective signal to Pakistan than arch statements from the MEA. BEIJING: China has blocked a tributary of the Brahmaputra river in Tibet as part of the construction of its "most expensive" hydro project+ , which could cause concern in India as it may impact water flows into the lower riparian countries. The Lalho project on the Xiabuqu river+ , a tributary of the Yarlung Zangbo (the Tibetan name for Brahmaputra), in Xigaze in Tibet involves an investment of 4.95 billion yuan ($740 million), Zhang Yunbao, head of the project's administration bureau was quoted as saying by Chinese state-run Xinhua news agency on Saturday. Terming it as the "most expensive project", the report said the project, whose construction began in June 2014, was scheduled to be completed in 2019. It is not clear yet what impact the blockade of the river+ will have on the flow of water from the Brahmaputra into the lower riparian countries like India and Bangladesh as a result, it said. Last year, China had operationalised the $1.5 billion Zam Hydropower Station, the largest in Tibet, built on the Brahmaputra river, which has raised concerns in India. Here is how the river-linking project works: The big idea is to connect 37 Himalayan and peninsular rivers. So, water-surplus rivers will be dammed, and the flow will be diverted to rivers that could do with more water. In all, some 30 canals and 3,000 small and large reservoirs will be constructed with potential to generate 34 gigawatt of hydroelectric power. The canals, planned between 50 and 100 meters in width, will stretch some 15,000 kilometres. “If we can build storage reservoirs on these rivers and connect them to other parts of the country, regional imbalances could be reduced significantly and lot of benefits by way of additional irrigation, domestic and industrial water supply, hydropower generation, navigational facilities etc. would accrue,” India’s National Water Development Authority describes the project on its website. The project is expected to create some 87 million acres of irrigated land, and transfer 174 trillion litres of water a year. Also, half a million people are likely to be displaced in the process, according to a report (pdf) by Upali Amarasinghe, a senior researcher at the International Water Management Institute. Ecologists and environmentalists warn that the project is imprudent and dangerous, especially since there is little clarity on the ultimate impact on such a massive undertaking. For the ‘Water man of India’ Rajendra Singh, who turned around life in the arid regions of Rajasthan with his inventive water conservation techniques involving the local communities, the steps taken by the Modi government in this sector have been disheartening. Prime among his concerns is the strong push by the government towards interlinking India’s rivers. “This will be disastrous for my country. It will displace a lot of people and cause undesirable effects, with floods on one side and drought on the other. Rivers are not like roads. They have own gene pool and own life. What we need is the linking of our heart and brain with the river. This involves conservation projects involving the local communities. Linking of rivers will lead to privatisation of water resources,” he says. He was talking to The Hindu during his visit to the city to participate in a seminar on the revival of the Bharathapuzha on Tuesday. Back in 2002, when the previous BJP government mooted the idea, he was the first one to study its after-effects, by travelling across the country to all rivers proposed to be linked. When the UPA government came, he presented his impact studies and the project was shelved, only to be revived under the Modi government. “I have been a member of the National Ganga River Basin Authority from 2009. When the new government came, I was removed from it. They do not listen to the concerns we raise. No dissent is allowed under the Modi government,” says Mr. Singh. Growing up in a Zamindari family in Uttar Pradesh, discussions with his teachers and farmers contributed to his understanding of life around him. He landed in Kishori village, near Gopalpura, where he set up a small clinic. But, 72-year-old Mangu Meena, an elder of that village, told him that the village needs water, more than education and medicine. He built water banks on the earth and check-dams to hold back water in the wet season, to recharge groundwater and thus retaining the water even in summer. He involved the communities living along these rivers, making them owners of the resources. Three decades later, the model has spread across Rajasthan and elsewhere, creating villages with surplus water even in summer. In 2001, he won the Magsaysay Award for community leadership. Earlier this year, he won the ‘Stockholm Water Prize’, known as the Nobel Prize for Water. Chinese engineers are testing techniques that could be used to build a 1,000km tunnel – the world’s longest – to carry water from Tibet to Xinjiang, experts involved in the project say. China’s longest tunnel is the eight-year-old 85km Dahuofang water project in Liaoning province, while the world’s longest tunnel is the 137km main water supply pipe beneath the city of New York. However, the Chinese government started building a tunnel in the centre of Yunnan province in August that will be more than 600km long, local media reported. Comprising more than 60 sections, each wide enough to accommodate two high-speed trains, it will pass through mountains several thousand metres above sea level in an area plagued by unstable geological conditions. Researchers said building the Yunnan tunnel would be a “rehearsal” of the new technology, engineering methods and equipment needed for the Tibet-Xinjiang tunnel, which would divert the Yarlung Tsangpo River in southern Tibet to the Taklimakan Desert in Xinjiang. Downstream, in India, the river becomes the Brahmaputra, which joins the Ganges in Bangladesh. The Tibetan Plateau stops the rain-laden Indian Ocean monsoon from reaching Xinjiang, with the Gobi Desert in the north and the Taklimakan Desert in the south leaving more than 90 per cent of the region unsuitable for human settlement. However, the Taklimakan sits right at the foot of the Tibetan Plateau, which is known as the water tower of Asia. The more than 400 billion tonnes of water it releases each year – almost enough to fill Lake Erie in the United States – also feeds the source of other major rivers, including the Yellow, Yangtze, Mekong (known in China as the Lancang) and the Ganges. The earliest proposals to divert water from Tibet to Xinjiang were made by Qing dynasty officials Lin Zexu and Zuo Zongtang in the 19th century. In recent decades, Chinese government branches, including the Ministry of Water Resources, have come up with engineering blueprints involving huge dams, pumps and tunnels. The project’s enormous cost, engineering challenges, possible environmental impact and the likelihood of protests by neighbouring countries have meant it has never left the drawing board, but Zhang Chuanqing, a researcher at the Chinese Academy of Sciences’ Institute of Rock and Soil Mechanics in Wuhan, Hubei province, said China was now taking a quiet, step-by-step approach to bring it to life. The construction of the tunnel on the Yunnan-Guizhou Plateau, the country’s second-highest, would make political leaders more confident about the Tibet-Xinjiang project and more likely to approve it, he said. The Yunnan-Guizhou Plateau in southwest China is, like the Tibetan Plateau, an earthquake-prone zone with many active faults.